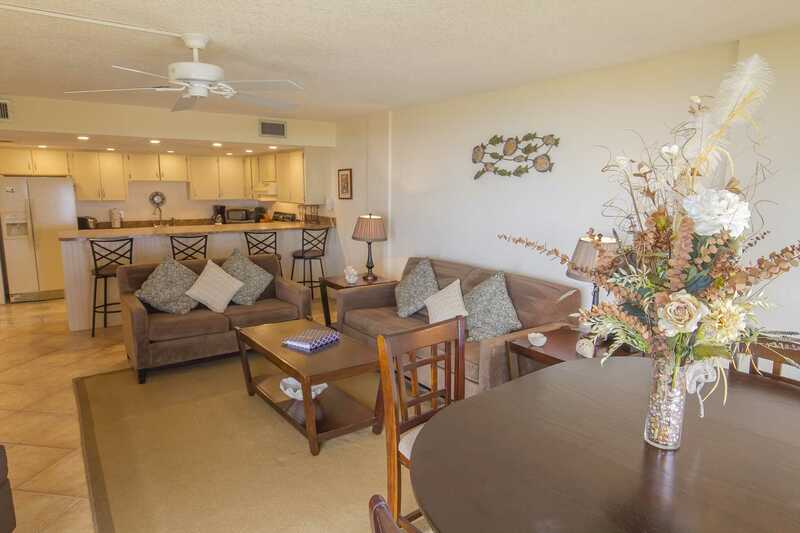 Enjoy the morning sunrise on your balcony from this 2 bedroom, 2 bath condo. 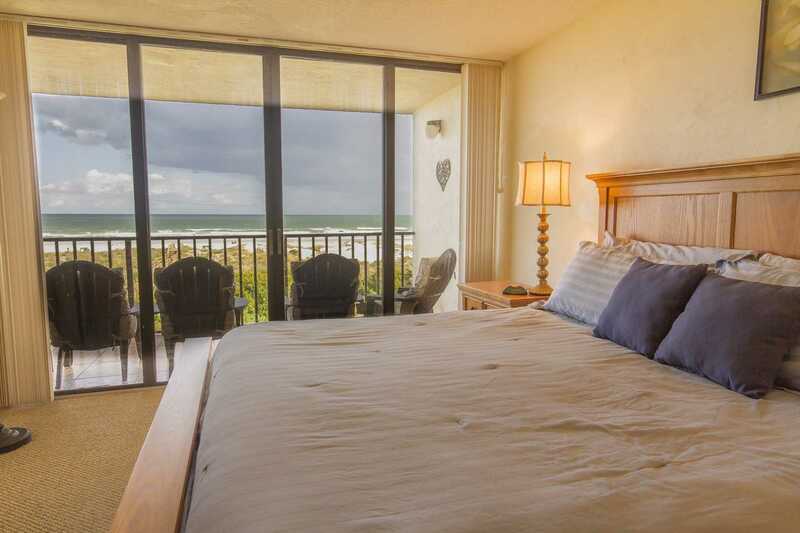 The unit has a southern exposure with a fantastic ocean view in this ocean front complex with a private parking space in the garage. 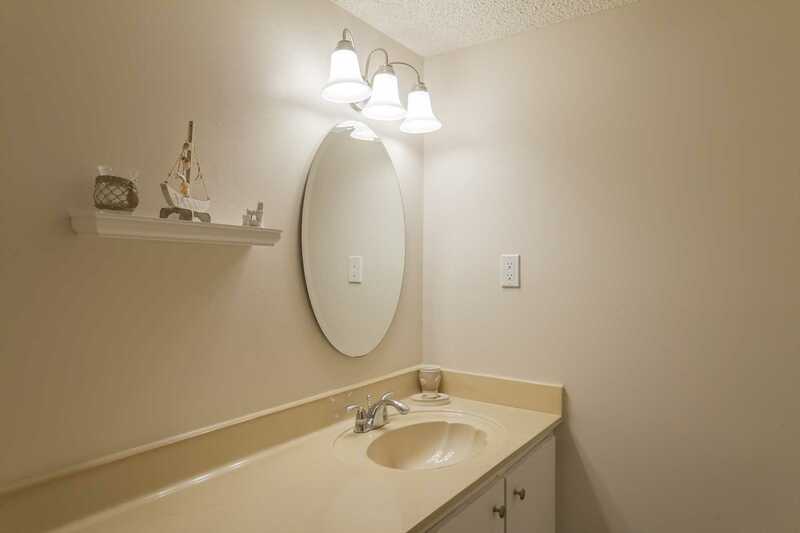 You will appreciate the elevator as well as the grocery carts available in the garage to transport your groceries and belongings, an easy start to a well-deserved vacation! 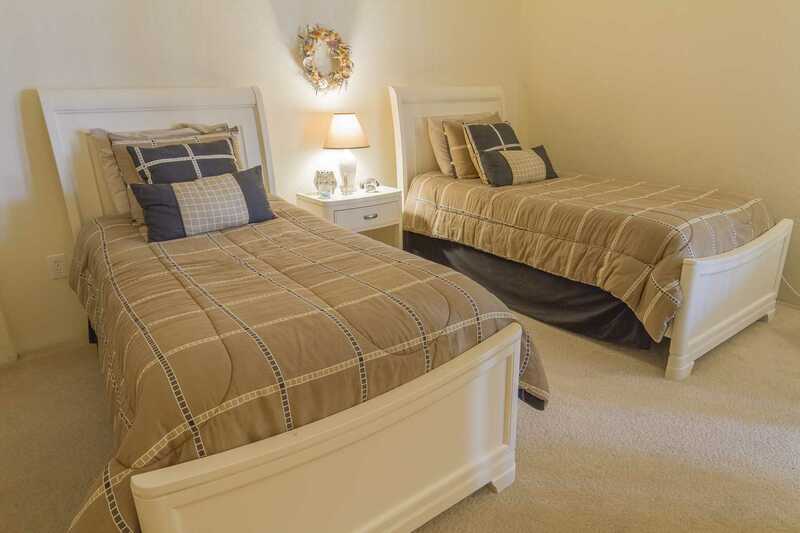 This beautiful unit features a King size bed in the master suite, flat screen TV, private bathroom with shower and separate powder area as well as a walk in closet. 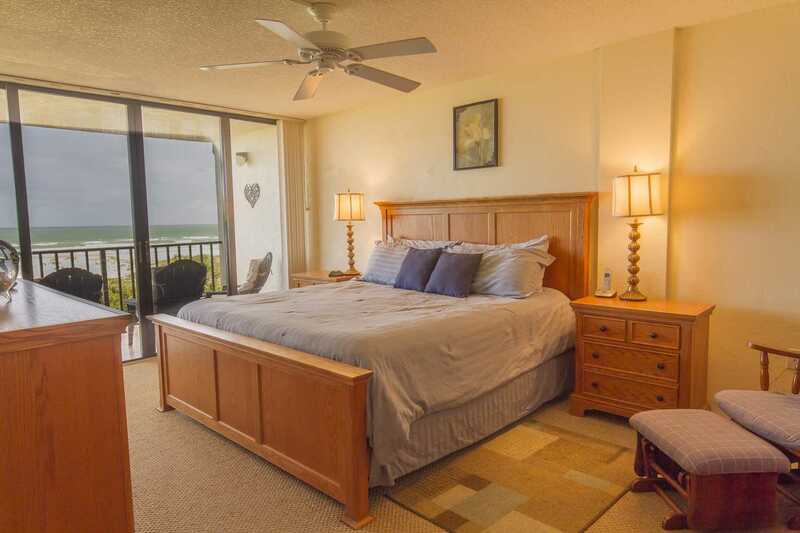 The master has floor to ceiling sliders that open to your balcony. 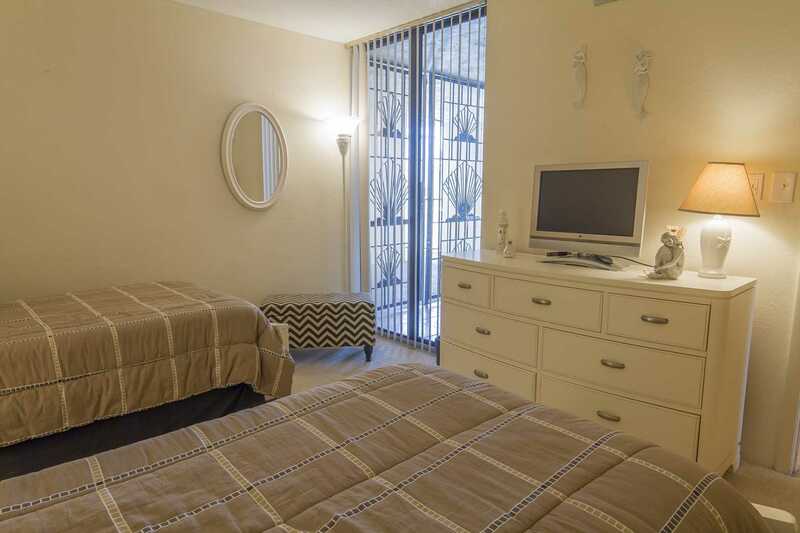 The comfy guest bedroom with Twin beds and TV also has a walk in closet. 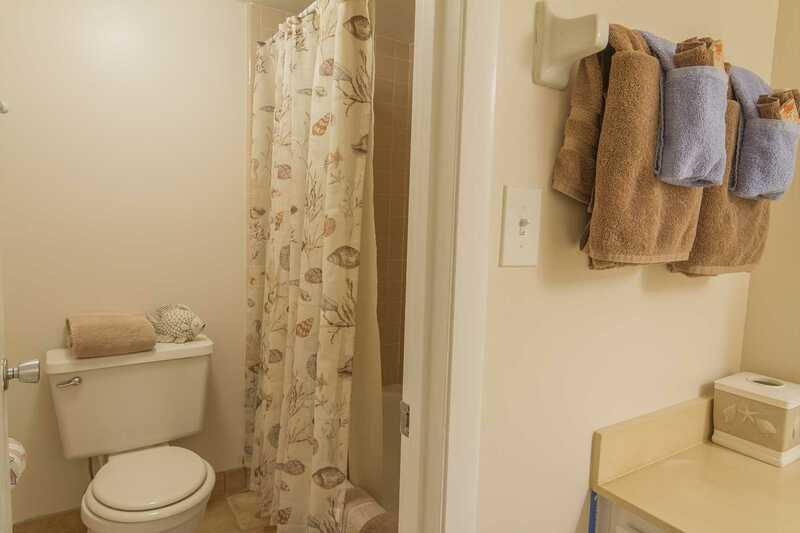 A second full bath is accessible from the guest bedroom and the living area. 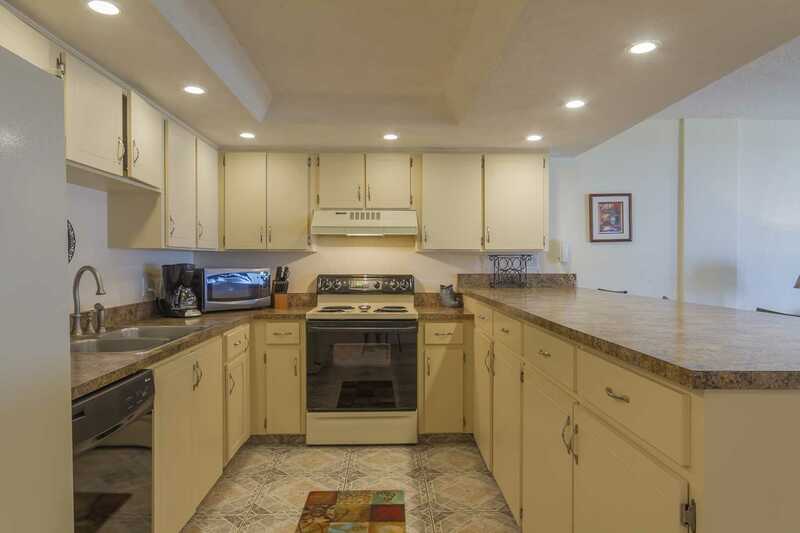 The open concept living area has a very well-equipped full size kitchen with dishwasher, microwave, coffee maker and washer/dryer. 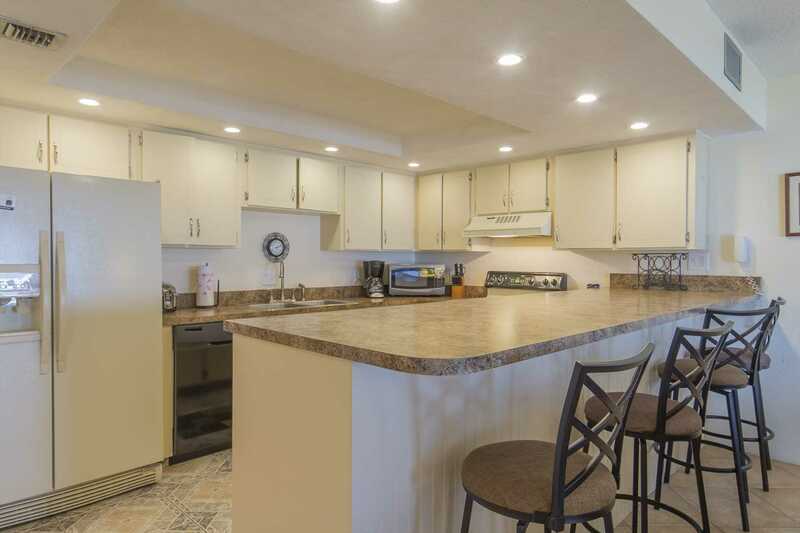 A high bar with stools separating the kitchen and spacious dining area allows for conversations with guests (if you really prefer cooking to all the "fun" spots in this area.) 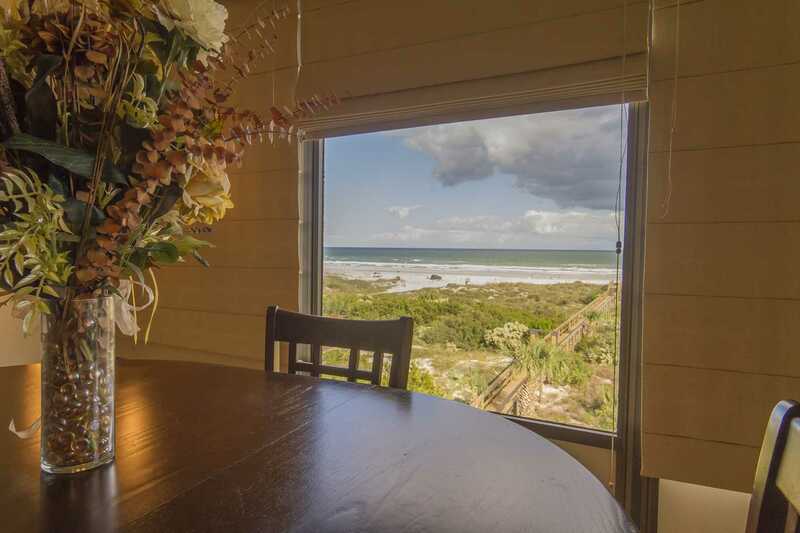 Comfortable furnishings welcome you in the living room which greets you with views of the ocean from your sofa (which converts to a sofa bed). The living area also opens to your balcony. 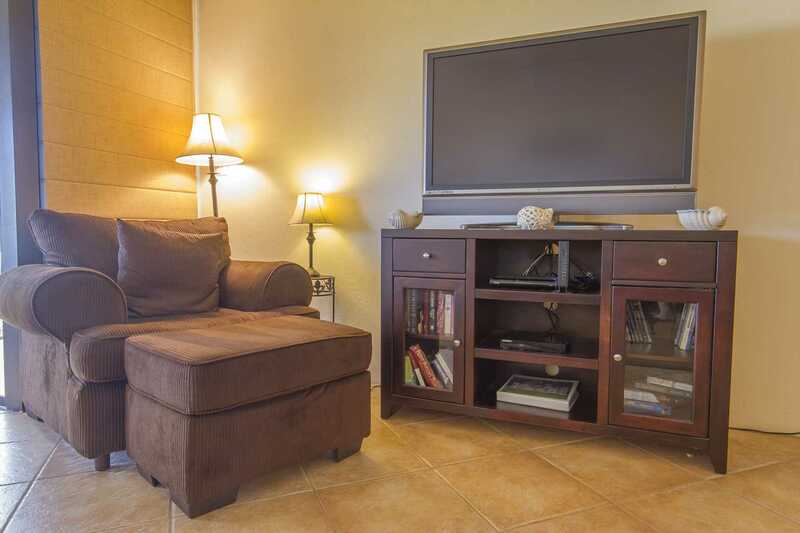 The living room features a large flat screen TV and DVD. 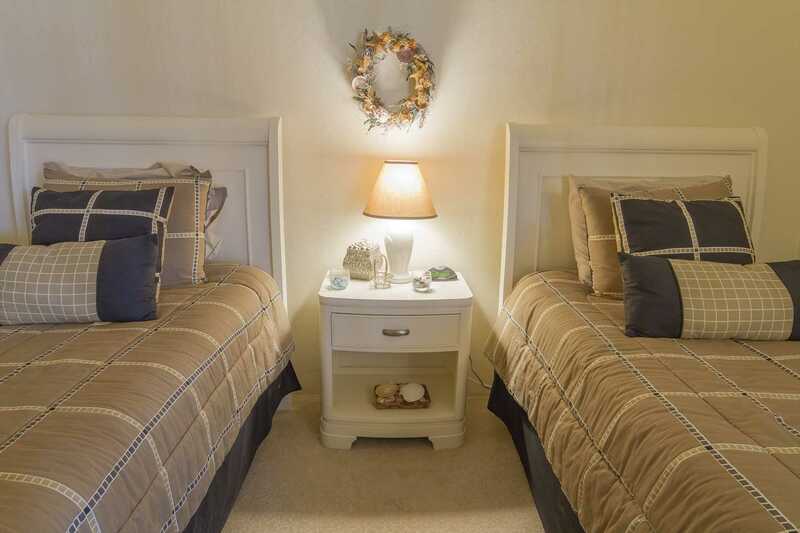 The unit includes Wi-Fi, cable TVs, and all linens; fully equipped to start your vacation; just pick up your groceries on the way to this beautiful beach. A large pool with a choice of shade or sunny seating is central to the complex and includes a gas grill cooking area and a clubhouse (available to large families by reservation). A tennis court is also onsite. The wide, white sand beach here is family friendly and so inviting! 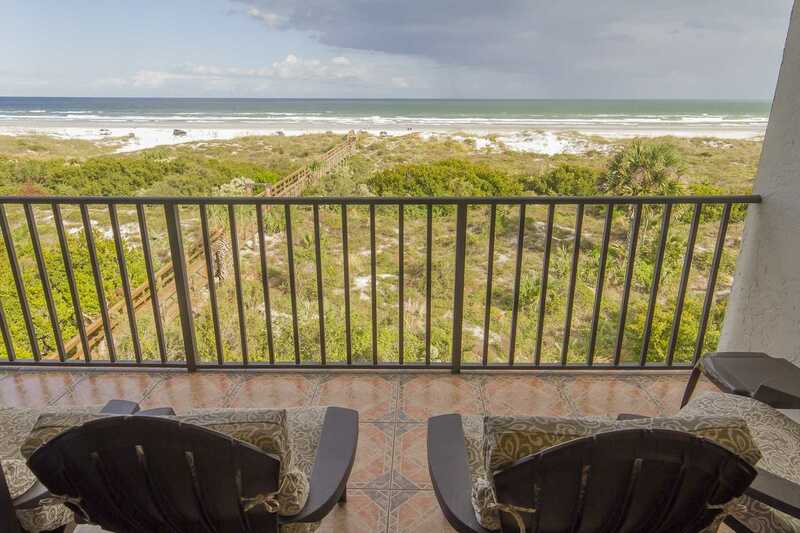 Beachcombing, sunbathing, sandcastle bulding, kite-flying, bike riding, -- are all popular on the wide white sands of this very walkable 14-mile beach. The waves are perfect for body surfing, boogie boarding, or simply splashing and dashing! 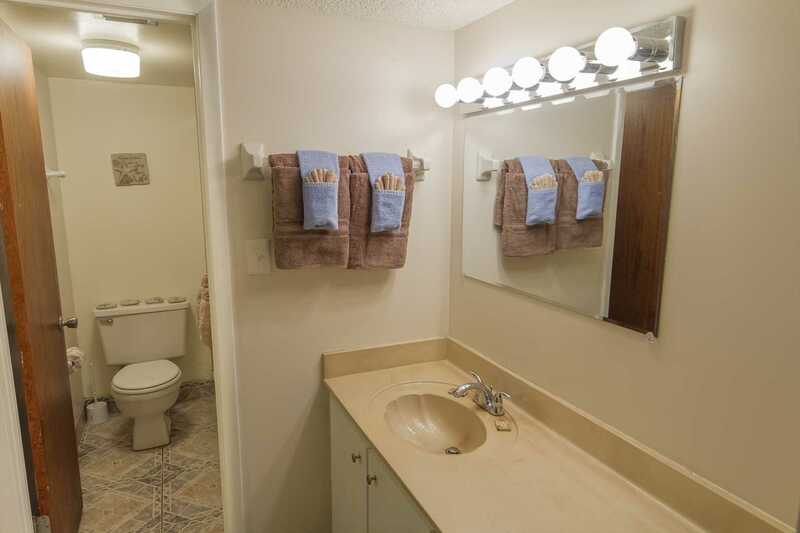 All is accessible from the Captains Quarters private boardwalk. 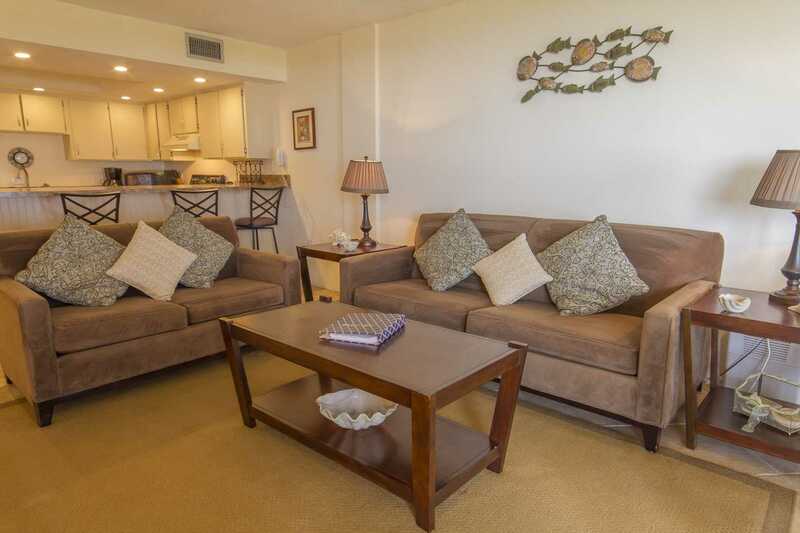 You can rent water sports equipment and bikes nearby, and the fishing is good too. 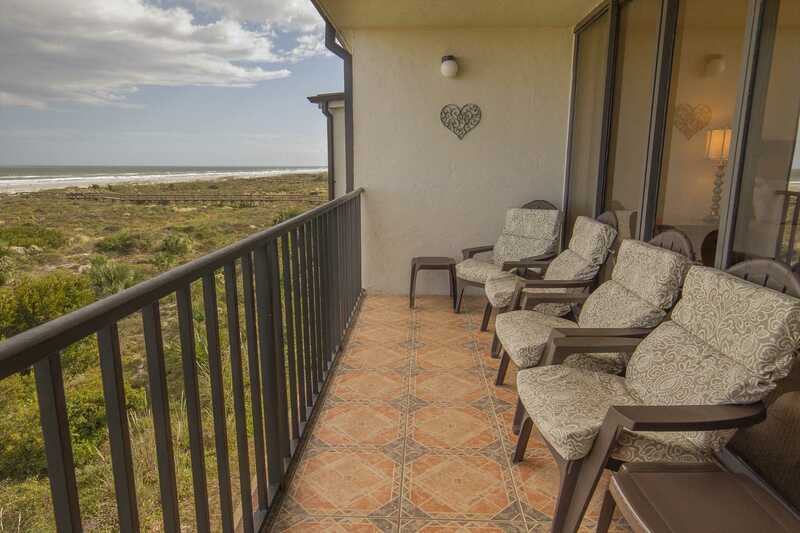 Or rest on your balcony and enjoy the sight of the sand dunes, beach waves, palm trees, pelicans, and "others" wildly wind surfing.